In my Relief Society work, I have viewed a new welfare video that the church has put out. I was so impressed with it, that I looked and found the printed version of it. It is called Basic Principles of Welfare and Self-Reliance. I have taught much from the information it contains and from one particular talk by Julie B. Beck, Relief Society General President. She mentions different paintings that she has in her office. One depicts a pioneer midwife that reminds her that one sister, with one skill, can be a blessing to many. She gives the example of her great-great-grandmother Mary Ann Hamblin, who was a midwife that helped bring many babies in this world. As a stake relief society, we took that message of one sister, with one skill, can be a blessing to many, and used it for our stake enrichment activity in April. When I spoke, I told the sisters of my grandmother, Mary Elizabeth Hustler Bennett, who also was a mid-wife... a true example of one sister, with one skill, that blessed the lives of many. 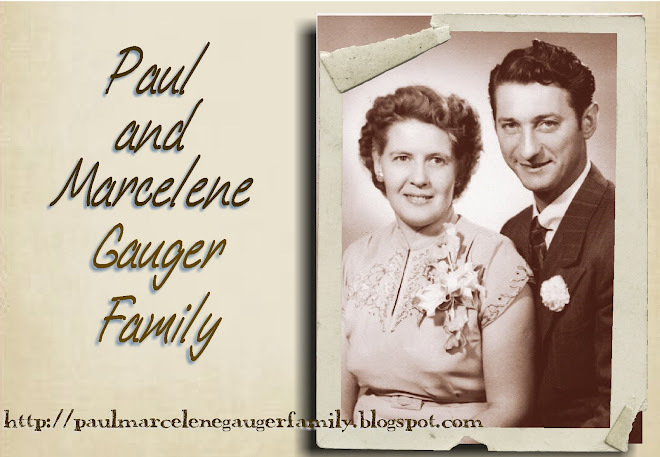 Her example has been mentioned in previous posts by my brother and sister and I would like to add some wonderful information about her and her family from on a cassette tape that I have of my Mother, Marcelene. My nephew, Randy Davis, my oldest brother Dix's son, interviewed Mother 30 years ago about her family and their life during the depression for a school project. I happened to have this recording and I listened and transcribed it the best I could from its aged audio quality. When her dad couldn't get work, he took care of them at home. When the kids came home from school, he had a cooked meal of a little meat if they had some and vegetables from the garden they raised. Randy asked her about what clothes they wore at that time. Mother said they always had clothes and were more fortunate than others. 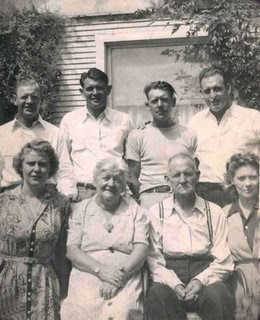 Her dad and brothers wore Levi's and bib overalls to work and garden in, but never to go to town or church in. Her brothers were fortunate to have riding boots. She and her sister had to wear high top shoes and she never had a fancy pair of dress shoes for Sunday until she was in junior high school. Clothes then were always homemade, mostly make-overs from hand-me-downs. Even though they were always clean, they weren't like some of their neighbors that had store-bought clothes because their dads worked as teachers and bankers. She made it clear that she never felt they were different. Looking back on it now, she could see they were a better family for it. They had a loving mother and father who worked very hard to provide everything they could. They always had plenty of food and warm clothing, with lots of love in their family. They never starved or went without food or clothes, although at times her mom and dad probably did. She told of when her oldest brother laid away a blue suit for 30 or 40 dollars at a major department store. Her mother thought it was horrible that he paid so much and it took a very long time for him to get it out and wear it. When asked about jobs they had, Mother told of her brothers working on farms and digging city sewers with a pick and shovel. Her dad did work on a farm some summers and fall, but mostly got vegetables for his work. One brother worked for the CCC government program. My Mother worked once a week on a Saturday for a lady doing her laundry, ironing, and changing beds. She worked for 5 to 6 hours a day and received 50 cents. Wages weren't very much and some jobs were only about a dollar a day, but it seemed like a lot of money then. They would all be very tired at the end of a day, but grateful they had work. When asked what they did for fun, she said they didn't have a car until her oldest brother got a job at the Provo Roller Mills. He purchased a '29 Chevrolet and nobody could drive it but him. They thought they were really something then. It had a rumble seat but no top and they always got caught in the rain. 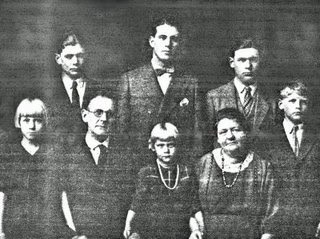 Their family went to church, dances, picnics, socials, and family reunions together. Occasionally they were able to go to a Saturday matinee for 10 cents. Her brothers would give her and her sister 25 cents and they thought the 15 cents to spend was a big treat. For recreation they swam in the canal, played run-sheep-run, went sleighing and tobogganing down the hill in winter. Her two oldest brothers got them their first radio in 1934 from Sears and they thought they had it all again. I am going to stop here and continue on at a later date with continued memories Mother had of when wall street crashed. I have learned so much and have come to love and appreciate my Mother and my grand parents from these choice experiences. It makes me think of the conference talk, "Come What May and Love It", because we truly have come from a rich heritage of unselfish examples, frugality, and family solidarity in hard times.